We deliver to these Postcodes on a Monday. All orders received before 2pm on a Thursday are delivered on the following Monday subject to confirmation. Orders received after 2pm will be allocated to the next available delivery slot to your postcode area. We deliver to these Postcodes on a Tuesday. All orders received before 2pm on a Sunday are delivered on the following Tuesday subject to confirmation. Orders received after 2pm will be allocated to the next available delivery slot to your postcode area. We deliver to these Postcodes on a Wednesday. All orders received before 2pm on a Monday are delivered on the following Wednesday subject to confirmation. Orders received after 2pm will be allocated to the next available delivery slot to your postcode area. We deliver to these Postcodes on a Thursday. All orders received before 2pm on a Tuesday are delivered on the following Thursday subject to confirmation. Orders received after 2pm will be allocated to the next available delivery slot to your postcode area. We deliver to these Postcodes on a Friday. All orders received before 2pm on a Wednesday are delivered on the following Friday subject to confirmation. We deliver to these Postcodes on a Sunday. All orders received before 2pm on a Thursday are delivered on the following Sunday subject to confirmation. Orders received after 2pm will be allocated to the next available delivery slot to your postcode area. We deliver to these postcodes every 2 weeks on a Thursday. There is a £35 surcharge for delivery to these postcodes. Our Admin team will contact you for payment prior to confirming your delivery date. 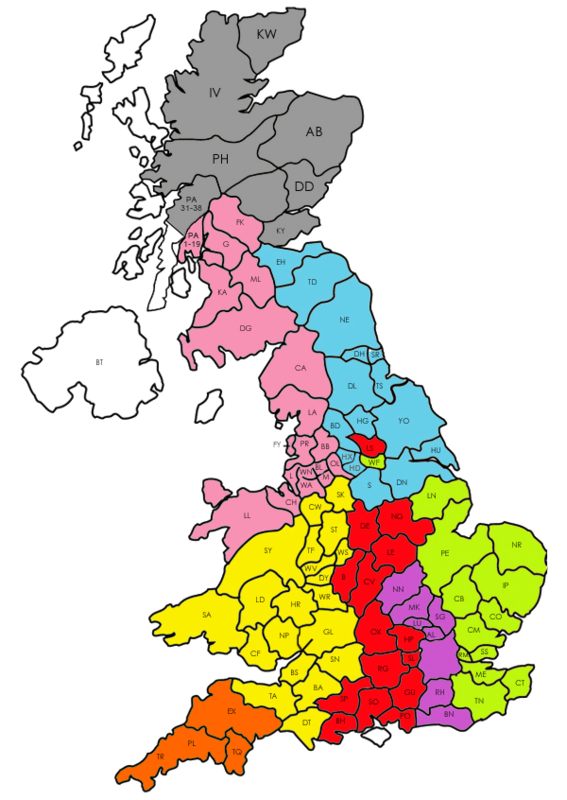 We deliver to these postcodes every 2 weeks on a Friday. There is a £150 surcharge to KW postcodes. We deliver on the days set out above on the map. All items advertised are in stock so delivery will be within 3-5 working days provided you confirm you are okay to receive delivery. For faster deliveries and deliveries on alternative days, our express service is available and currently costs £129 – we can usually deliver within 24 hours to all areas that do not incur a surcharge on normal delivery – for further details ring our sales team, talk via live chat, or send us a message. We can usually deliver next day or day of choice to most areas for an additional charge of £129. Please ring us on 01472 287561 or contact us through message and live chat. We will try and use our 2 man delivery service but where this is not possible, we can deliver on pallets. However, this is not as good as it will be a kerbside delivery and not delivered to your room of choice, and you will have to dispose of the pallet. When we receive your order, we will send you an order confirmation. You will then receive a second email from us stating your delivery day, and asking you to confirm that this is okay, and that key information such as item ordered, address and telephone number are correct. When you have confirmed this back to us, your item will be delivered by JRP, a specialist two man delivery company. On the morning of the day before your delivery day, we will send you a further email message, telling you if it is an am/pm delivery slot, and provide you with a telephone number for your JRP delivery driver. The JPR delivery driver will ring you when he has finished the delivery prior to yours, to give you an accurate delivery time. Our basic delivery is for the sofa to be delivered in its packaging to your room of choice. Please ensure that you open the packaging, inspect the sofa, and tell the driver of any damages or scuffs at time of delivery - we will then resolve these issues. Please do this whilst the driver is still there. We also offer a PREMIUM DELIVERY SERVICE which is currently only £14. We recommend this service as the drivers will fully set up and assemble your sofa, and remove all the packaging, which is often very bulky and will not fit in a normal domestic bin. To opt for this service, please either call us on 01472 287561 or send a message. The dispatch company SJK Deliveries will only deliver to ground floor, or to first floor where access is easy, or to higher floors where there is an adequate lift. If delivery is required to higher floors and there is no lift or the lift is not big enough to take the suite, drivers are subject to charge between £10-£20 per floor past the first floor with no lift.